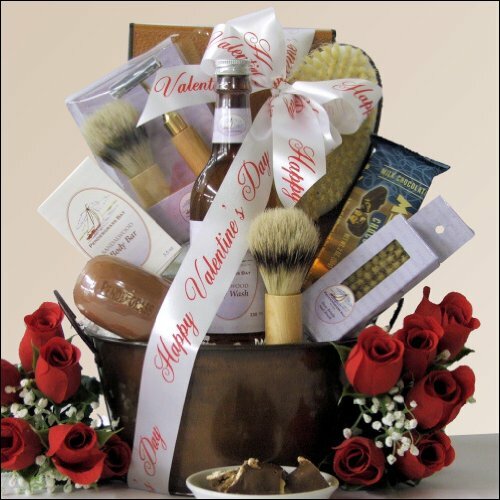 More than clothes make the man...this unique grooming and spa basket is perfect for any man on Valentine's Day! Includes a great selection of Men's Bath and Shaving Products and features a 10-piece Manicure Grooming Set - something every man needs. Also includes some delicious gourmet snacks for him to enjoy long after Valentine's Day.